Performing on stage for judges and an audience is so very different to practicing in the studio. You have to learn to deal with bright lights, fancy costumes, nerves, music issues, stage issues, recovering from stumbles, or even having a complete mental blank! Competitions help dancers build a strong background in stage experience and working the stage, which is crucial as a professional working in the performing arts industry. he ability to accept tough critique, and even rejection, can be one of a dancer’s greatest strengths. Competitions force you to accept criticism and rejection gracefully (even gratefully!). You also have to be able to win gracefully too! Competitions help you to build up an emotional resilience that will help you deal with criticism and feedback in all aspects of your life. Competitions are a really great way to meet other people who love to dance as much as yourself! You may get to meet people from studios all around the state (and even the country), as well as watching them perform and learning from your peers. Making connections with not only the other dancers, but also other teachers, choreographers, and judges, can be really helpful in your future career. You know what they say… it’s not WHAT you know, it’s WHO you know! Dance competitions are great way to help you push yourself harder, and to help you strive for a more polished performance with better technique. Competitions force dancers, choreographers, and teachers, to work to their highest possible standards. A great performance requires hours and hours of practice, mental focus, and refined technique and skill. Performing a routine at a a dance competition gives you a goal to work towards and strive for! he judges at a dance competition are industry professionals, and getting personalized feedback from them is so valuable! Competitions are the best way to perform for and receive personal feedback from expert judges. The judges’ critique can help you improve upon your training, skills, technique, choreography, and performance skills – this is often seen as more valuable than a trophy! Competitions are such a fantastic way to have fun with your dance friends and studio. You’ll get to show off the routine that you have been working so hard on, and also get to watch other amazing performances from other great dancers! At the end of the day, it’s not about winning, it’s about going on stage and performing a great routine and enjoying yourself! Competitions are a great experience for any dancer, and can help develop vital skills that will be useful for their future career. If you’d like to find out more about entering competitions as a soloist or joining the WAPS Competition Troupe, contact us today. 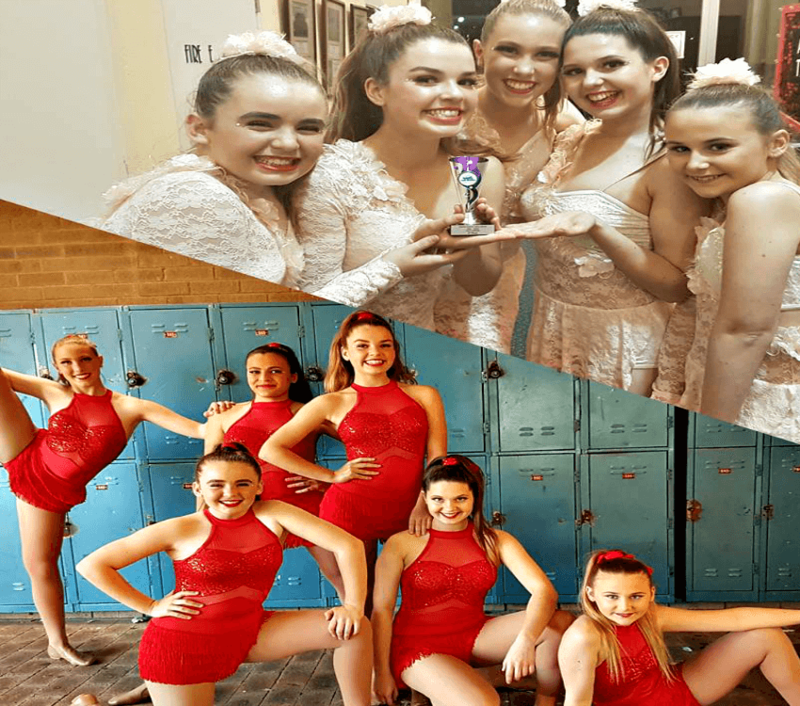 You can come and support the girls performing in the Bayswater Dance Festival over the April school holidays!